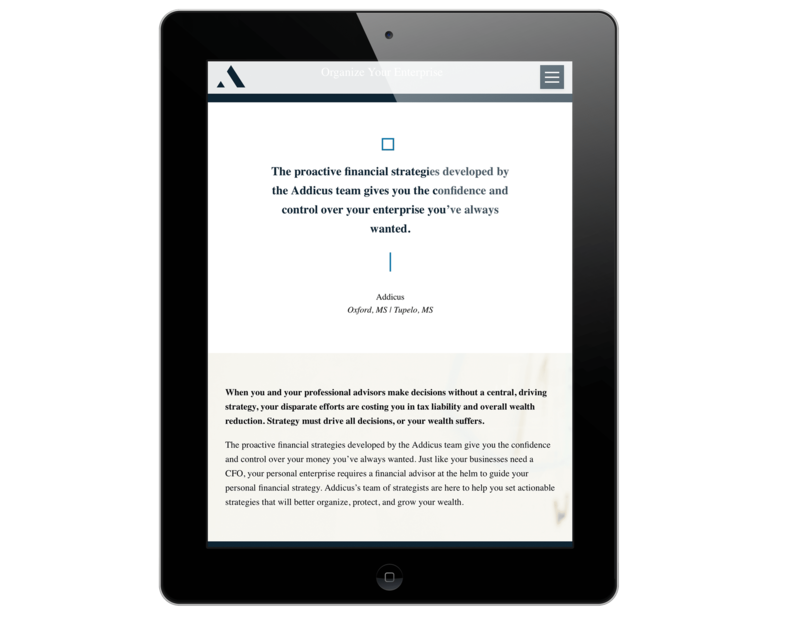 Addicus had a successful business providing unparalleled financial services to high-end clients, but the services they provided were so complex, and ideologies so unique, that selling the services to new clients was difficult. 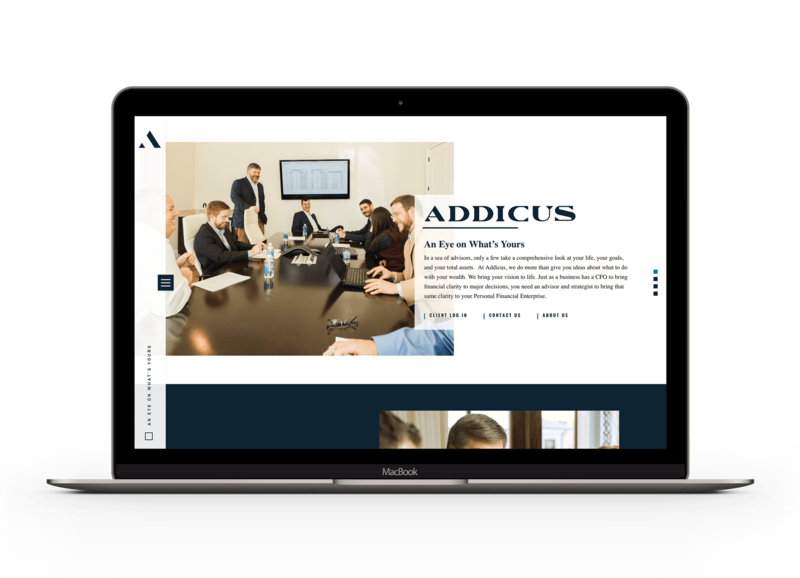 After only one meeting with Mabus Agency, the partners at Addicus felt like their company was understood in a way it hadn’t been before. So Mabus Agency set out to translate that understanding into a visual brand and tone of voice. 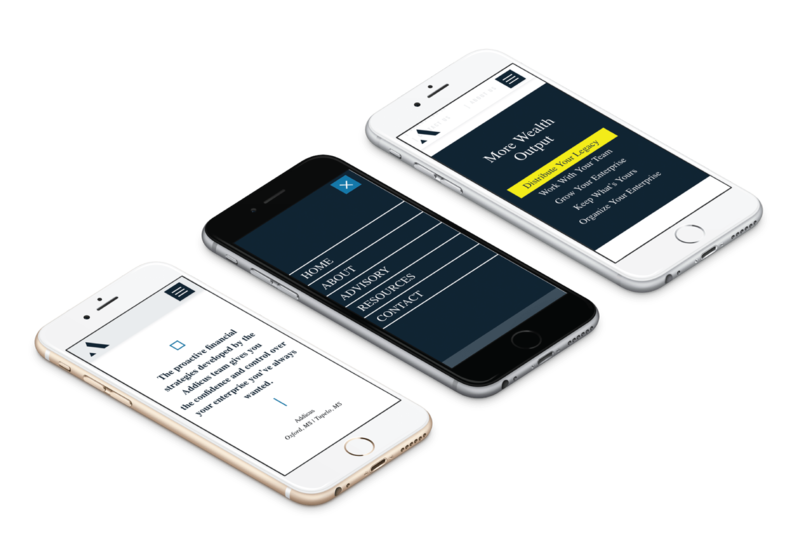 Addicus needed to look like a financial services company while standing out from run-of-the-mill investment firms and wealth managers—because the services Addicus provides are at such a higher level. And because the services are so complex, the visuals needed to simple. Tying a complex topic to familiar visuals allows potential customers to make subconscious connections and build deeper understanding. 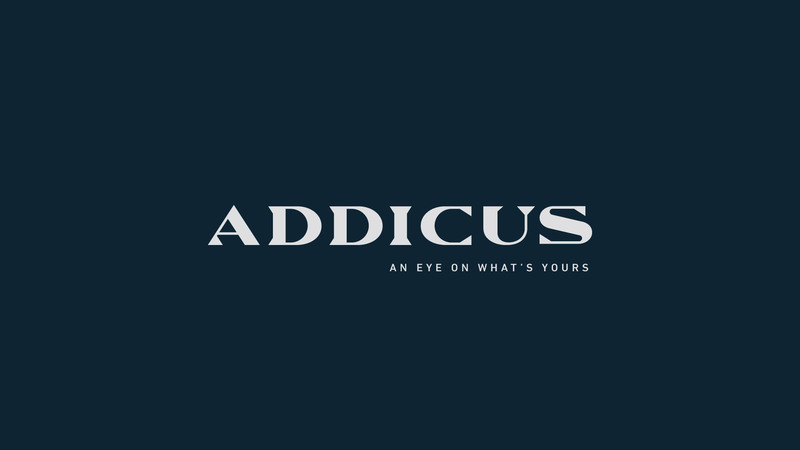 The Addicus icon ties the complex to the familiar. Mabus Agency worked to establish the language that could serve as a bridge between layman speak and technical precision and then developed a brand messaging document which included rules for words and phrases Addicus team members would and wouldn’t use. This ensured everyone was using the same language and also kept the Addicus team members from straying into the weeds of overblown financial jargon by sticking to language their clients understand. By creating their own brand language around their areas of expertise, they not only controlled the conversation, but owned the words being used. With language established, Mabus Agency was able to distill Addicus’s ideologies, which often fly in the face of conventional financial logic, into distinct, numbered rules. 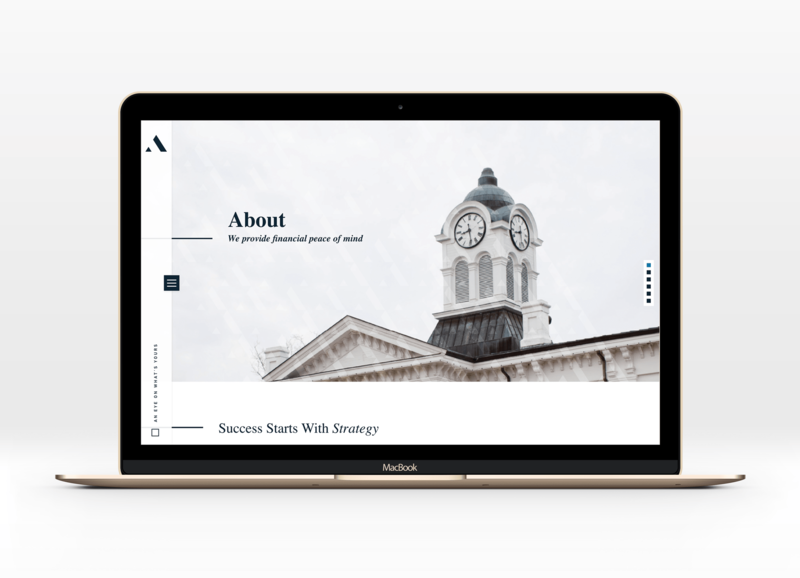 Now, instead of explaining, complex ideas to clients, which can feel like playing catch-up, Addicus’s team could simply refer back to pre-established rules. These ideologies were grouped into categories like succession planning and debt. The larger categories were further explained in extensive and well-researched white papers and then distilled down into easy-to-share thoughts in blog posts. When working with high net-worth individuals, quality is key. Mabus Agency sourced the most premium papers and printing solutions so that clients had no doubt they were working with the most impressive and legitimate experts in their field. By consistently implementing the Addicus visual brand and brand message on high-quality, well-designed materials, Mabus Agency was able to build a brand that was more like an experience, all reflective of the quality of service and level expertise the client receives.